The Arctic Duck® jacket features a stand-up Sherpa-lined collar, which protects the neck against drafts without a cumbersome hood. Sherpa lining on the torso keeps the body warm while taffeta lining on the sleeve means easy on/off. 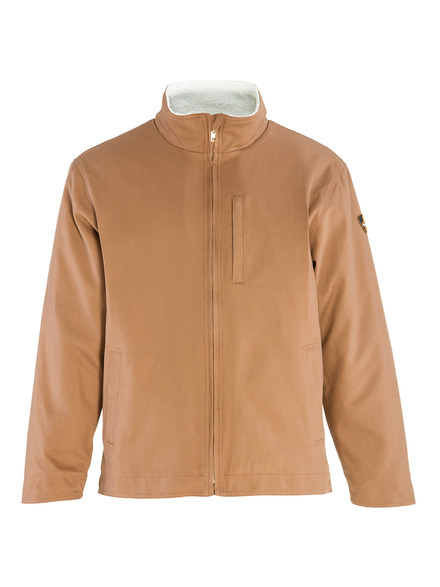 Convenient hand warmer pockets and chest pocket provide warmth and secure storage. The 100% Cotton Double-Fill Duck outershell has a wind-tight, water-repellent Teflon™ coating.